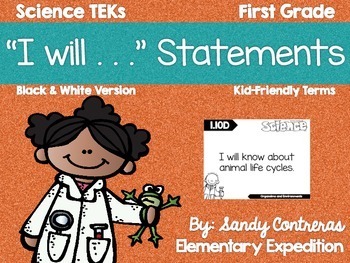 First Grade "I will" Statements for Science. 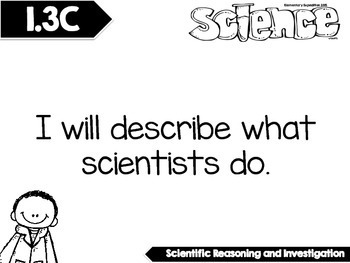 Based off First Grade Science TEKs, but written in kid friendly language. To be used on objective boards/frames. Large font for students to read. 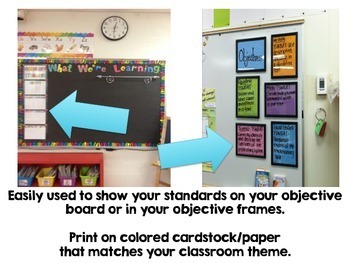 Black and white version for easy printing on colored paper that matches your classroom theme.